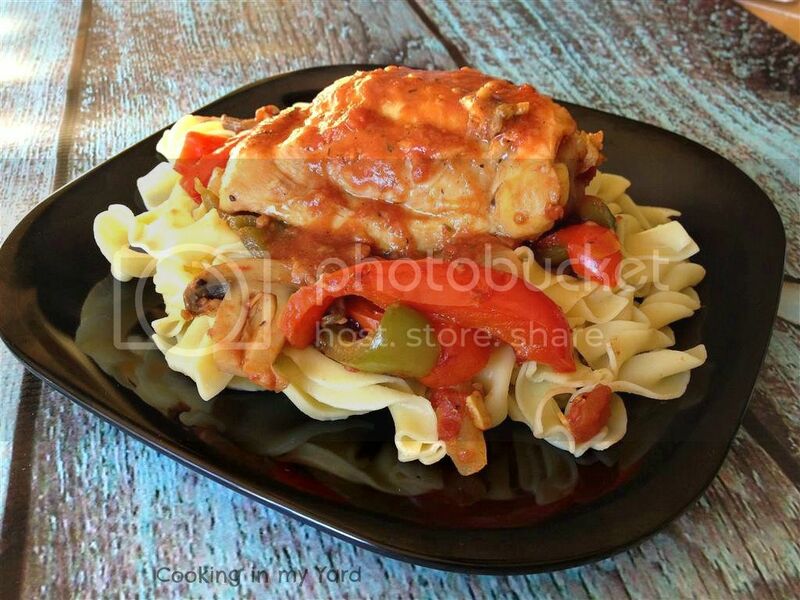 My wife makes a fantastic Chicken Cacciatore. But she just came back from a trip to Chicago for a Blogher Conference, so while she got caught up on work, I decided to make the meal. And since I was looking for something to cook outside in my Dutch Oven, this became the perfect choice. I did not use her recipe exactly, I changed a few things. And it came out delicious! I used chicken thighs and skinned and trimmed them first. 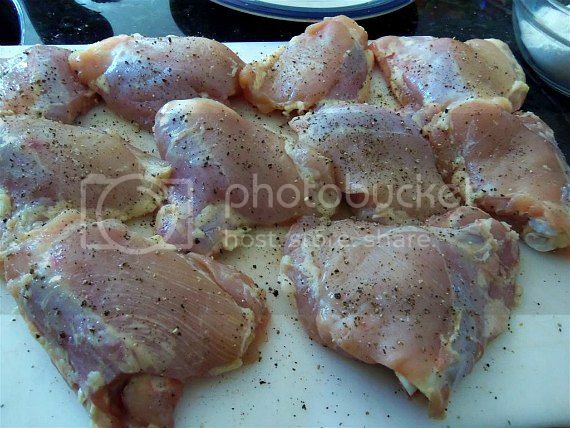 I then seasoned the thighs with salt and pepper. I then dredged the thighs in flour. 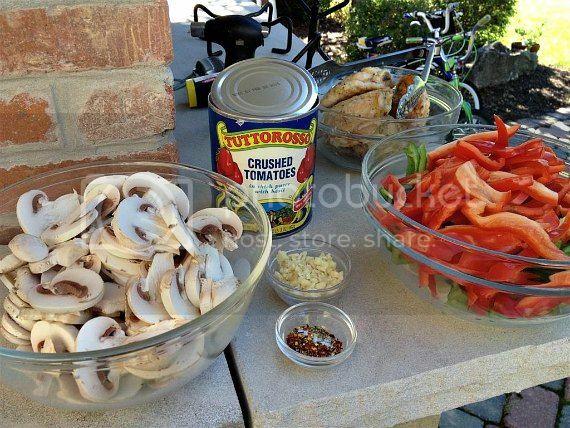 Since I was cooking this outside I also cut up and prepared everything ahead of time. It is so much easier having everything ready outside. I decided to use my charcoal Weber today. 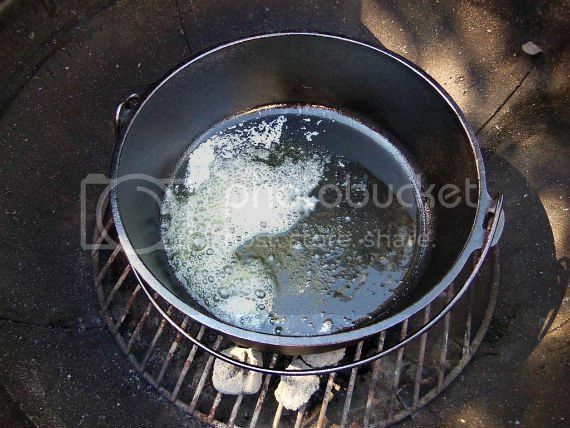 I light up some coals then heated up the butter and olive oil. 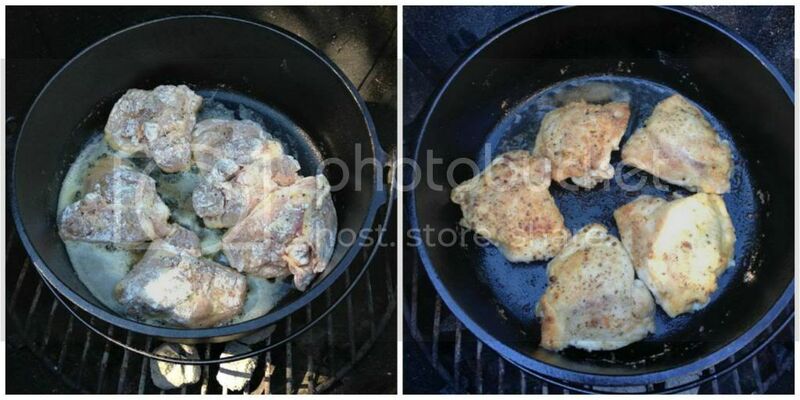 Then I browned both sides of the chicken thighs, and removed them from the dutch oven. Then I added the onions, peppers, garlic, and spices and cooked it for a minute. I added the mushrooms and went another minute. Poured in a bottle of beer. Cause it’s always better with beer, right? I used Smuttynose Old brown Dog Ale, cause it tastes good, so it’s gotta be even better in food? 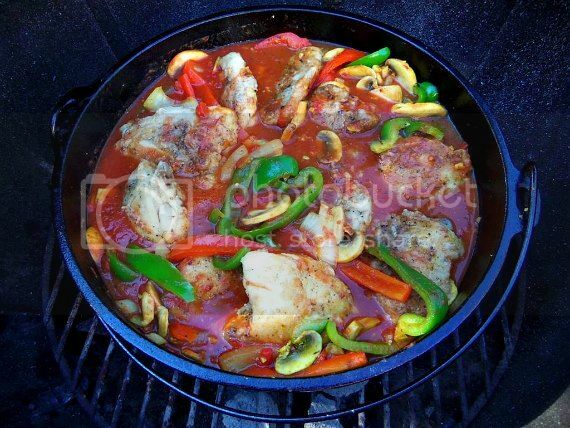 I then added the can of crushed tomatoes, and put the chicken back in. Then I covered the pot. 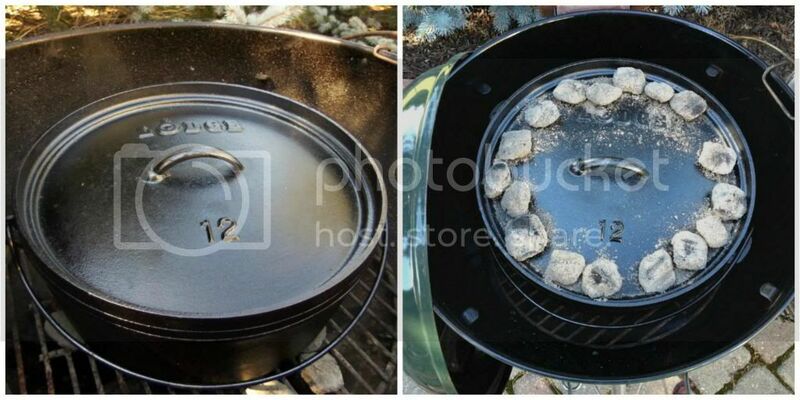 Put about 9 coals under the pot and abut 15 on the lid. That should bring it to around 350 degrees. Then I let it cook for about 45 minutes. 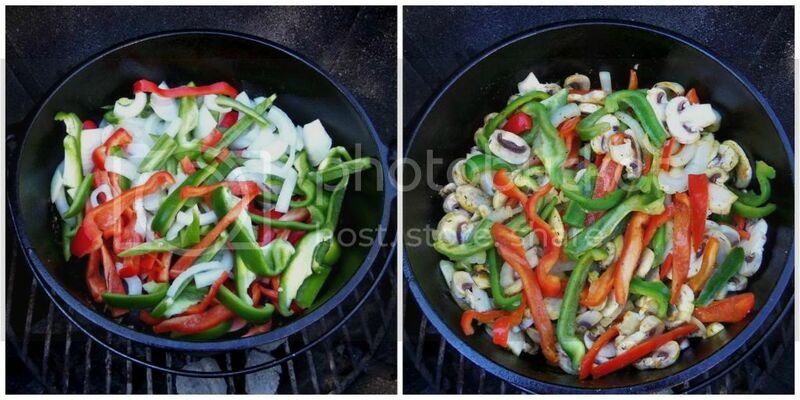 During that time I did have to add some coals to keep the temp maintained as the original ones burned out. Try to stay ahead of it, and try not to add too many or your temp will spike. if the temp falls too low, just add some more and go longer than 45 minutes if you need to. While the Chicken Cacciatore was cooking I boiled up some egg noodles. Here is the finished product. It was good, and the smell was incredible! 1 pound egg noodles or pasta. 8-10 chicken thighs. Skin on, or skinned and trimmed, your choice. 1 medium onion, halved and sliced. 5 cloves of garlic, chopped finely. 12-14 ounces of mushrooms. I just used a whole pack. 1/2 TSP Sea Salt, or Kosher salt. Red pepper flakes, to taste. 12 OZ Smuttynose Old Brown Dog Ale, or another good quality beer. No, not Coors Light. 1 35 OZ can (or 28 OZ can works fine too) crushed tomatoes. 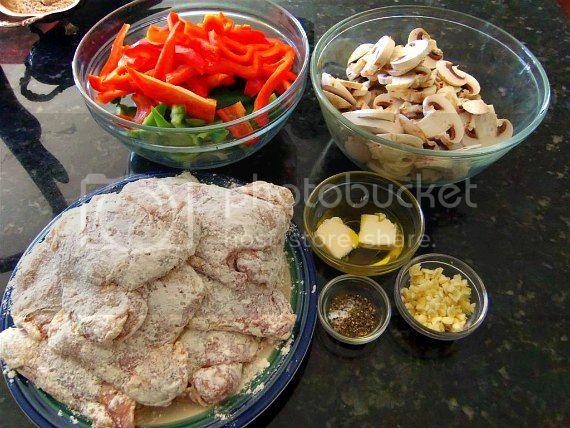 Trim the chicken, then sprinkle with salt and pepper. Dredge the chicken in flour, covering thoroughly. Heat the Dutch Oven and add the butter and olive oil. Brown the chicken thighs on both sides and remove from pot and set aside. Add the onions, peppers, spices, and garlic and cook for one minute, stirring as needed. 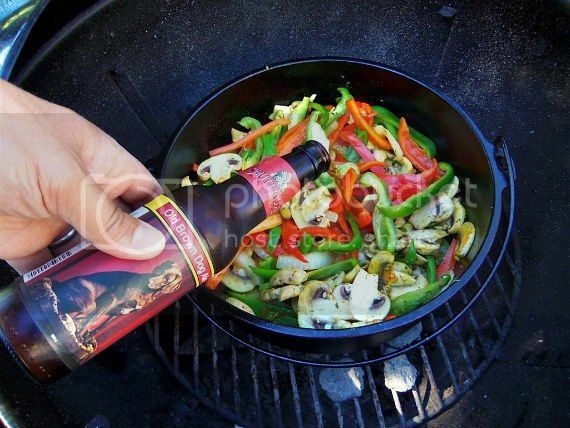 Add the beer, stir well. Add the can of crushed tomatoes, and stir. Add the chicken thighs back to the pot and cover the pot. Cook for about 45 minutes at 350 degrees. While the chicken is cooking, boil the pasta/egg noodles according to the instructions, drain and set aside. When the chicken is ready serve it over the pasta/egg noodles. Ok. What time should I be there?